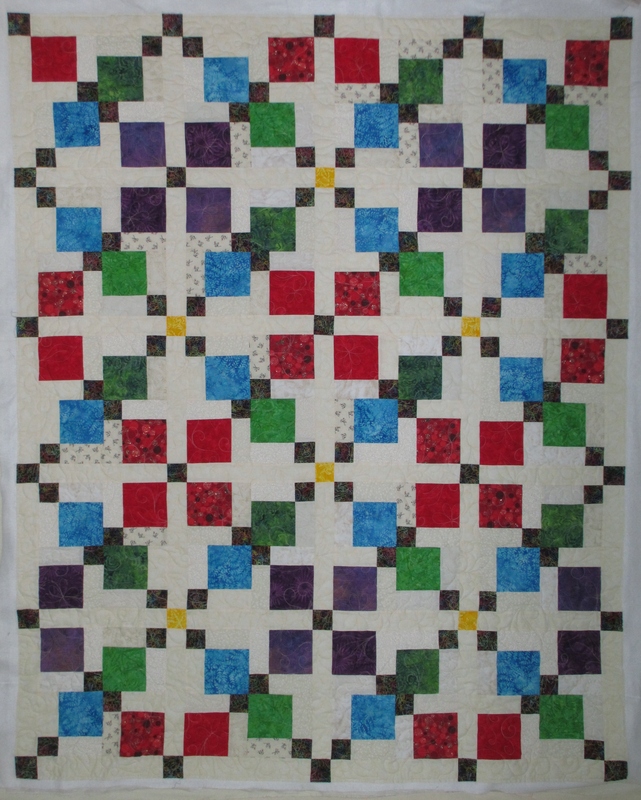 This is a different style quilt than what Nancy usually does. She wasn’t sure she liked it, but I am proud of her for stepping outside of her box. She does that expand her horizons and to learn new things. And, I think she did an excellent job of pulling all the colors together on this one. Don’t you? It looks kind of like a disappearing 9-patch to me. What do you think? 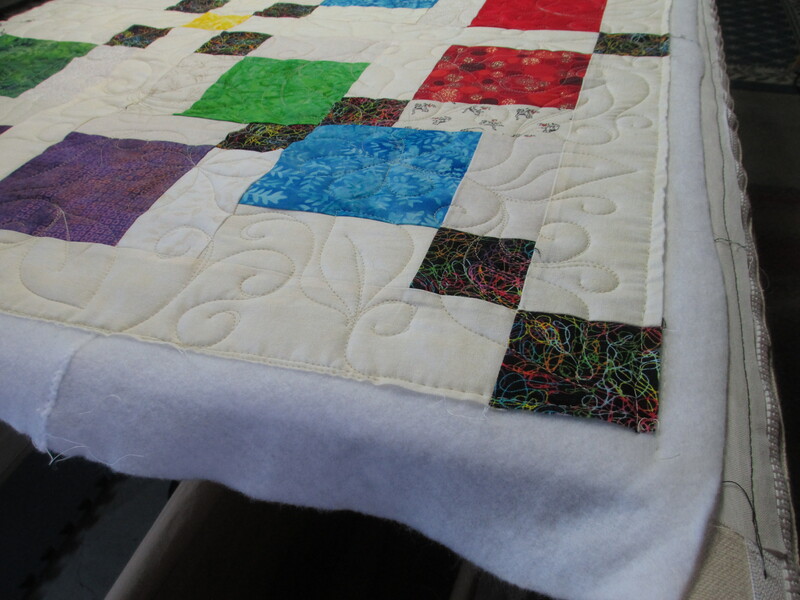 This quilt was an easy one to quilt an allover edge-to-edge design on it, which is also easy on the quilt maker’s budget. The question was what to stitch into it. Just about anything would go with this, but what would Nancy like? She lets me choose, and I worry about what to pick for her, so I settled on flowers and leaves. 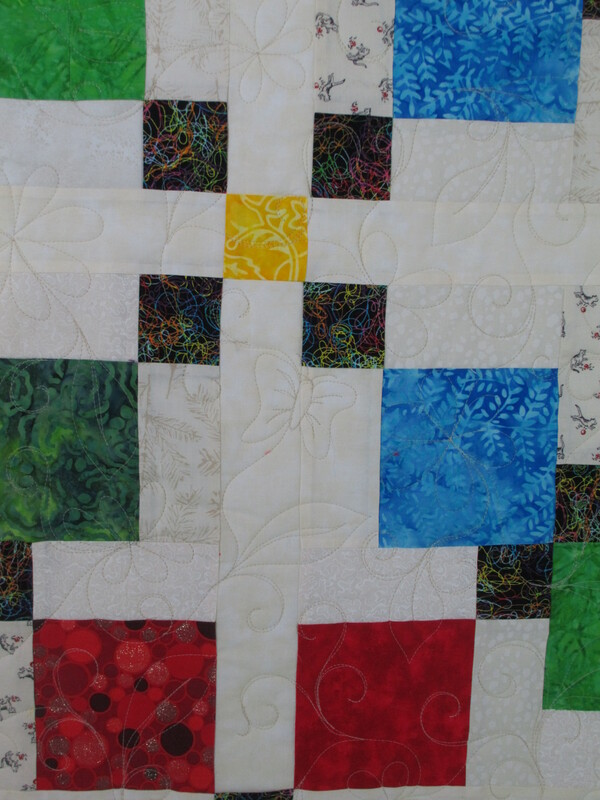 Everyone has had such a bad winter in the USA this year, except for us, but I still figured the promise of spring would be okay for this quilt. 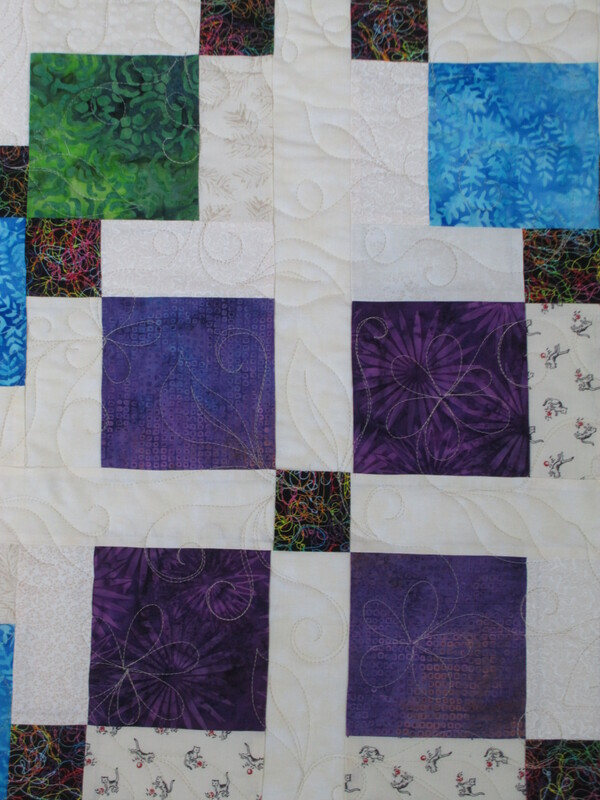 I snuck a butterfly into the quilt in the first picture, but I wish I had done a better job on it. To me it looks like a bow. Nancy is trying to use up her fabric (another reason for this quilt) as well as her batting, and I’d say she did a good job of it with this quilt. Wouldn’t you?